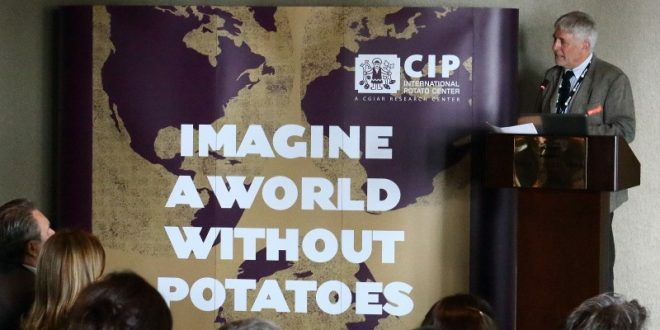 The International Potato Center (CIP) presented, at INTERPOM PRIMEURS trade fair, the international “Can you imagine a world without potatoes” campaign which aims to increase international awareness of the importance of potatoes for people everywhere. 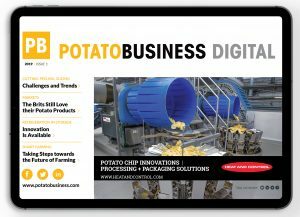 CIP is inviting national potato associations, multi-national companies and SME’s from the potato value chains, public sector entities, research centers, promotion and international organizations to join the campaign and use its core message to promote the potato. Marc de Beaufort, the inventor of the campaign, has been charged by CIP to lead the further elaboration. He is travelling all around the world to convince organizations, companies and governments to contribute to the project’s success. 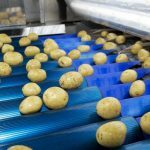 Numerous multinational companies from the entire potato chain have already pledged their cooperation. By participating in events such as INTERPOM PRIMEURS, he wants to convince both big and small companies in the potato sector to take part. 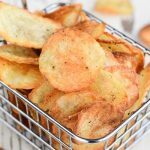 By establishing a link to the CIP campaign, they can not only promote their products or services, but also increase the worldwide awareness of the entire potato chain. 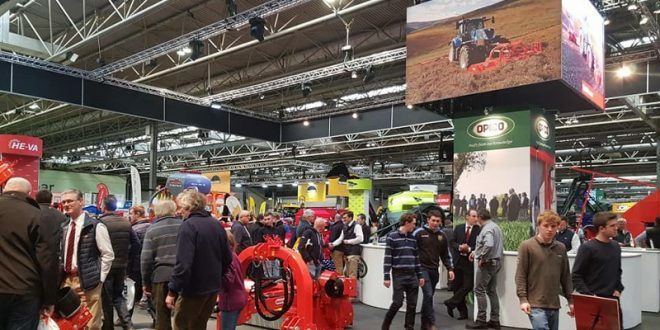 Belgapom and Interpom Primeurs have thrown their weight behind the campaign, which in the meantime has also won the support of the European Federation, Europatat, and the World Potato Congress. Between 2018 and 2020, the campaign is meant to raise awareness about the potato and its value. 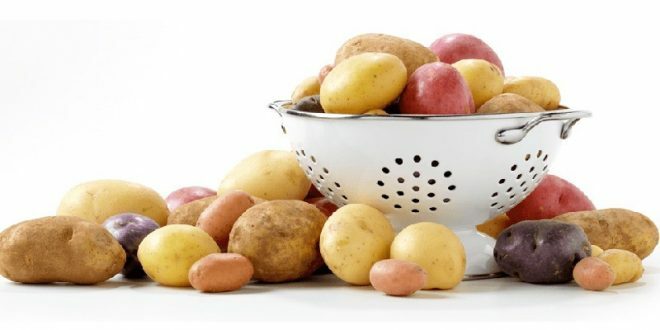 “Often ‘potatoes’ are considered as ‘obvious’, without consideration about their role in the past, present and future,” the representatives of CIP explain. 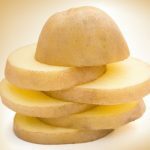 The potato faces many challenges in the future as consumer habits vary, the planet’s climate changes and population growth continue. 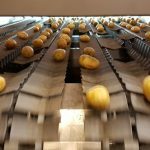 The aim of this campaign is to make sure that the world understands the potato is here to answer those challenges as it has been since its spread around the globe from the Andes 500 years ago, according to the initiative group. 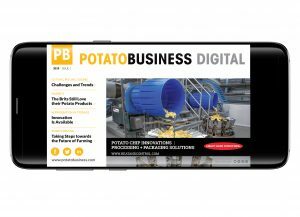 This CIP campaign is designed to allow multiple variations and strategies under the concept “Imagine a World Without Potatoes”. 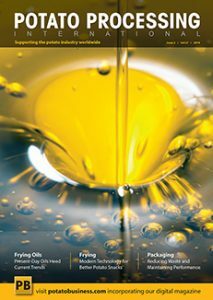 CIP wants to encourage different initiatives that best suit your markets and concerns such as the disappearance of potatoes or of the jobs provided by the potato sector. 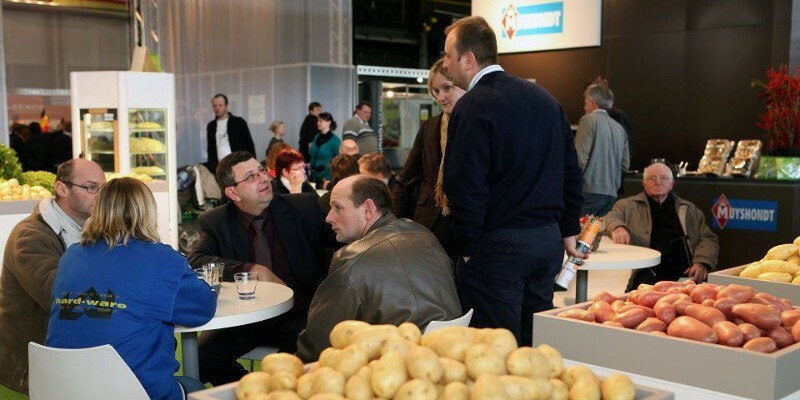 The 19th European indoor trade event for the potato and vegetable sector took place November, 25-27.